Although Outlook is a great email application, many users encounter issues occasionally while using it. 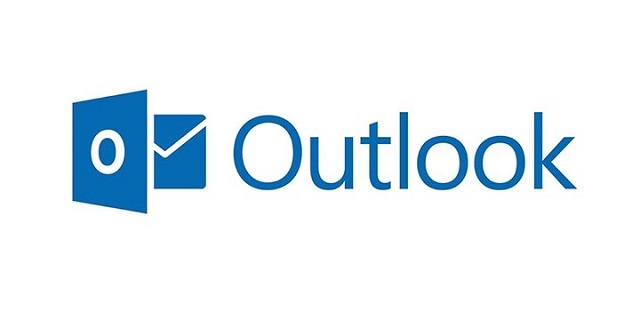 Outlook crashing during startup, hanging or freezing frequently and problems while sending emails are some of the most common problems users encounter while using Outlook. In this article let’s have a look at the solutions to fix Outlook crashes during startup problem. We cover some simple and effective solutions to resolve this problem, read on. If your Outlook is crashing during startup or if it is stuck at a screen that says ‘Processing’, it can be resolved using Safe Mode. To open Outlook in Safe Mode, follow the instructions below. After following these steps, restart Outlook normally to see if the error is resolved. If this doesn’t help, proceed to the next step. Add-ins improves your Outlook by providing more features and enhancements. But in some cases, it may interfere with the normal functioning and may cause Outlook to crash/hang. To disable add-ins, follow the instructions below. Check the add-ins that are enabled and uncheck them. Save the changes and restart Outlook. If your Outlook is working fine now, it means add-ins is the culprit. But it is important to identify the specific add-in that was causing trouble. To identify that, check the add-ins one at a time and restart Outlook. Repeat the process for all the add-ins that were selected earlier and wait until the Outlook crashing problem repeats. Now you have identified the add-in causing trouble. Disable it permanently and continue using Outlook. Your error should be resolved. However, if this doesn’t help, proceed to the next step. This automated tool should help you resolve most errors in Outlook. However, if you find that the problem still persists, there could be an issue with your PST file, which is covered in the next solution. If none of the above solutions help you resolve the Outlook crashing error, it means that there is an issue with your PST file. Outlook crashes can actually corrupt your PST file, making your Outlook inaccessible. Hence, you need to now think about fixing your PST file after Outlook crash. Remo Repair Outlook (PST) tool can repair all sorts of corruption issues in your PST files. Whether corruption is caused due to storing the PST file on a server or due to bad sectors on the hard disk, the reason doesn’t matter; Remo Repair can solve the issue. Once the PST file is repaired, it can be imported to Outlook and you can access all your Outlook items in the same way as it was originally. Moreover, the software works with all versions of Outlook like 2016, 2013, 2010, 2007 etc. How to use Remo Repair Outlook (PST)? Download Remo Repair Outlook (PST) tool & install it on your PCs. Then, just follow the simple steps explained below to fix PST file after Outlook crash. Step 1: Launch the tool and select the PST file to repair or you can also allow the software to locate the PST automatically, by using Find PST file option. Step 2: Choose a scanning option and click Repair. Step 4: Software will start scanning the file and provides you the repaired PST file. Step 5: Now, you can preview the items from repaired file & save the repaired file. That’s all you need to do, your PST file will be repaired & you can use your Outlook data. With this tool you can even recover lost Outlook Calendar items, emails, contacts, rules and other Outlook items. Try this smart and effective PST repair tool today! Hope these methods help you fix Outlook crash issues during start up.